All the veggies came out for this one! 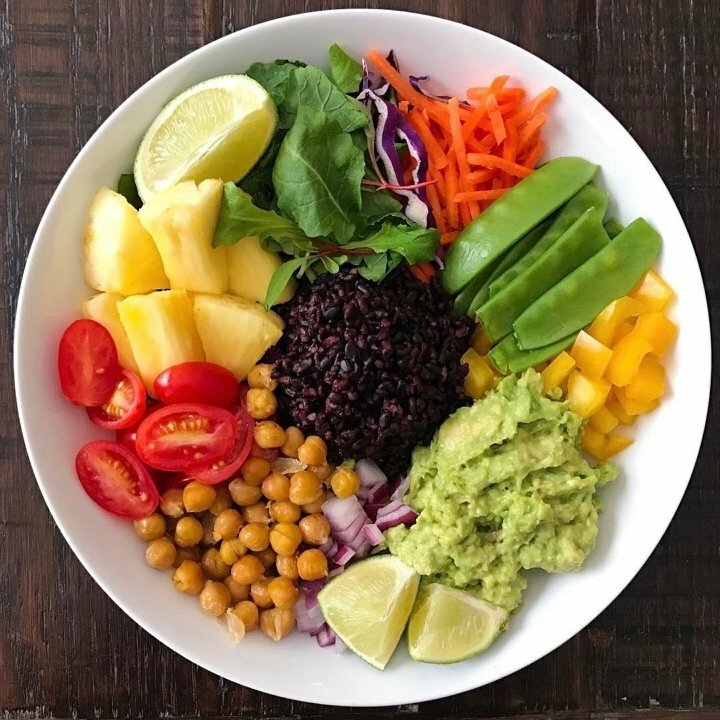 We were getting ready for travel to Hawaii’s Big Island, and literally I was cleaning out the fridge before we left, and all the veggies found their way into this delicious buddha bowl. I’m not sure anything else could fit! Chop onions, tomatoes, pineapple, kale, carrots, and yellow peppers.